LWS partner company Zumper recently announced that they are partnering with Facebook to revamp the lacking rental market of Facebook Marketplace. This partnership caters to the record 110 million Americans who rely on renting, yet have to deal with the pains of finding a good listing site. Facebook users in America will now have access to millions of properties posted on Zumper and its sister-site PadMapper. This includes instantaneous updates through the Facebook App, a change we hope to see in Canada soon! 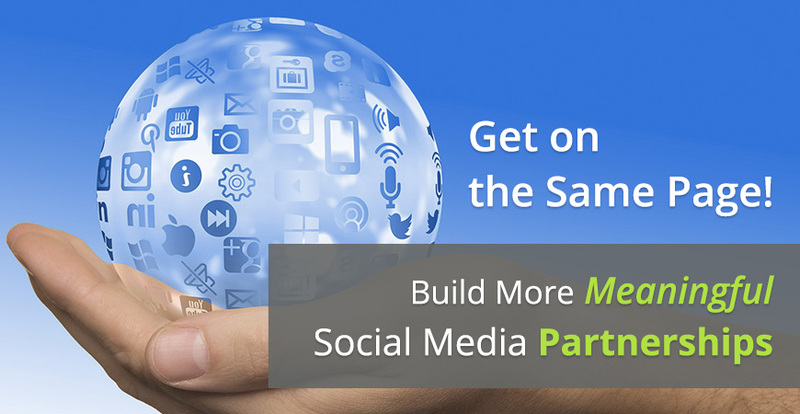 This incredible partnership re-emphasizes the need to incorporate social media marketing in your rental property business. We've talked about this significance before, but the explicit partnership between Zumper and Facebook highlights some important details about the changing nature of social media networking and marketing. Today's lesson is all about the golden rule: Treat Others How You Want To Be Treated. In an increasingly connected world, the best way to help make your presence on social media matter is by helping to make other people's presences on social media matter! Here's a list of several things you can start doing today to boost your social media presence in a more meaningful way. Marketing on social media puts you and your company in a position of authority as you control the way your brand is seen by social media users. With this kind of setup, it's easy to get stuck talking at your audience rather than talking with them. It's as important to follow up on your social media posts as it is to post them in the first place. When people start commenting, comment back! This will send a positive message to the users you're directly engaging, while also encouraging others to do the same. It also helps your presence on social media be more visible. Facebook, for example, tells users on your page the average response time from the page owner. Being consistently engaged will decrease this time, and increase the likelihood that users will reach out to you. Using hashtags and advertising promotions are other ways to encourage users to join your conversations and spend time engaging with your product. Highlight your consistency and relevant online presence by posting every day. Switch up the types of posts you make to appeal to larger audiences - use pictures, videos, and even live streams to increase your memorability and motivate others to engage with you online. We all know how good it feels to get a Like, but for companies marketing on social media, they're even more important. Lots of Likes give users the impression that a company is successful and trustworthy. If you're stingy with the Likes you're giving away, people will be less likely to give them back to you. While you're at it, you should be sharing others' content and following their pages, too. Not only will they be more likely to return the favour, but doing so also demonstrates that you are part of an intricate industry network. Other rental businesses are part of your market competition, but this doesn't mean that you can't admire others' work. When companies break the mould, it sets the rest of us up to benefit from an ever-evolving industry. Don't be left out of the revolutions! Shouting out exceptional work keeps you connected with the industry's top contributors and influencers, and increases the chances that they'll do the same for you. Many people shy away from the idea of having exclusively online relationships. But social media isn't going anywhere, and it's definitely time to start benefiting from its potential to connect you with incredible minds around the world, if you haven't been already! Building meaningful partnerships with industry professionals and potential clients means more than just sprinkling around the Likes. While this is an excellent start to forming meaningful relationships, take them a step further by joining and even starting conversations with people you may never get the chance to meet in real life. 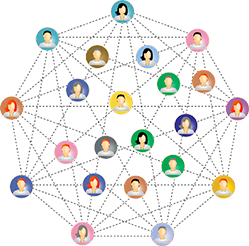 Not only will you experience a variety of perspectives that may help you unlock new ideas of your own, but you will also stand out from the hordes of other followers when you are consistently and directly engaging others online. Social media is helping to break down barriers between personal and professional relationships, and between real life and virtual interactions. There's no reason to make a distinction between the relationships you have in person and the ones that are visible online. Users are more likely to engage with a page if it has a lot of followers, Likes and posts, so don't be afraid to ask people you talk to in real life, including in your personal life, to engage with your website and social media accounts. And remember: Make sure you engage with their pages, too! Even if their businesses and interests are unrelated to the rental industry, sharing the love will bring more love back to your page as well.